Top-down racing games seem to have become a bit passé, these days. The genre that defined competitive play in the 8-bit and 16-bit eras – including titles like Super Sprint and Micro Machines – has naturally made way for 3D racers more befitting of modern consoles. That said, there’s something uniquely attractive about the playful, toy-like style of top-down driving. Dear Esther has been kicking around for a while now, first as a mod back in 2008, then again in 2012 as a full game for PC. Now, four years later, the game that started the ‘walking simulator’ genre gets repackaged in this Landmark Edition (complete with Director’s Commentary mode) and strolls onto current generation consoles. Zeldamania Running Wild! Developers Cornfox & Bros. clearly love Zelda, and they want you to love Zelda too. They made a Zelda clone. They’ve got the horn. The Oceanhorn! Originally released as an iOS title in 2013, Oceanhorn was later ported to the PC in 2015 and now it sails onto PS4 and Xbox One. I suppose the big questions are…is it a bad Zelda knock off, or can it sail on its own across the high seas? The respective answers are: yes, and kind of. We thought Project Root was a dog. Now comes DOGOS. It’s nice to feel clever. Since I didn’t play The Witness, I missed out on Jonathan Blow’s puzzle adventure which was released on PC and PS4 earlier this year. Despite not playing it, I enjoyed people tweeting how they had finally solved a puzzle. The euphoria when everything clicks into place and the answer leaps out of the screen is a great feeling and one that Factotum 90 brings to the Xbox One. 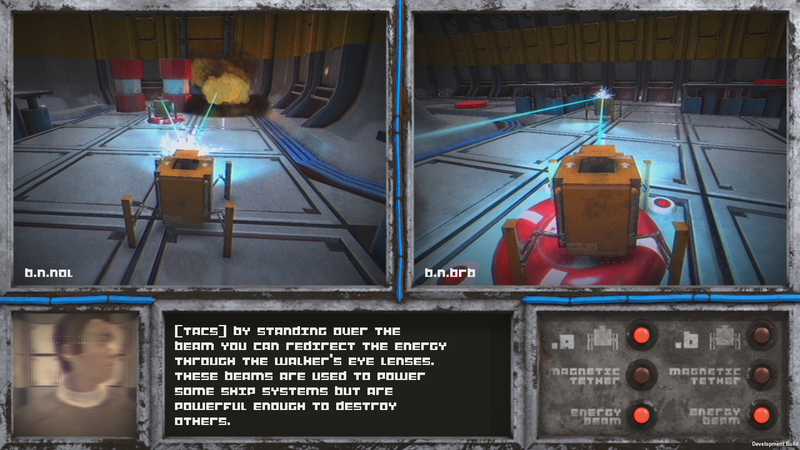 Factotum 90, published by TACS Games, is an update to Factotum which was released on the WiiU in 2015. 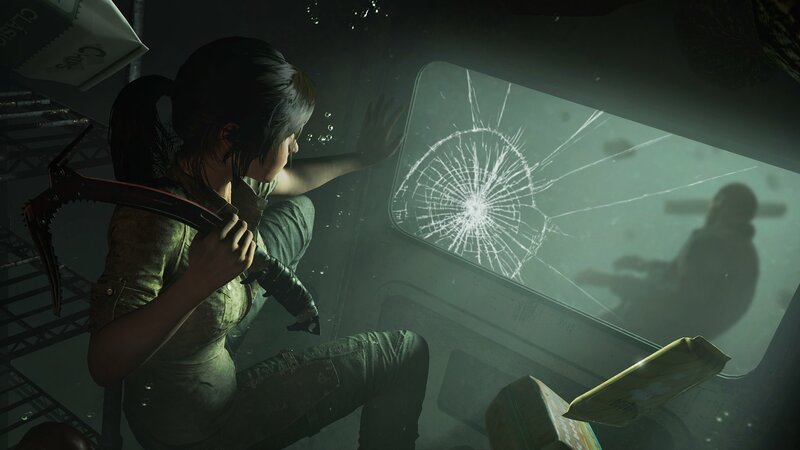 The HD release brings better graphics and a new soundtrack and is available digitally on the Xbox One store. The puzzler is set on a space ship which has been left stranded in space after colliding with an object. If that’s not bad enough, the oxygen levels are depleting and power must be restored to save the crew before its too late. Due to the inhabitable environment the player must use remote controlled robots to navigate the areas that lay ahead. The player is guided on their mission by a crew member on the ship who provides some guidance, hints and tips along the way. Play is split over two screens, on each screen there is a walker robot which must be controlled by the player to solve the puzzles in the room. The game eases you in gently, starting you with one robot and some simple puzzles to overcome. As the game progresses it introduces a second robot. and the complexity of the puzzles increase. 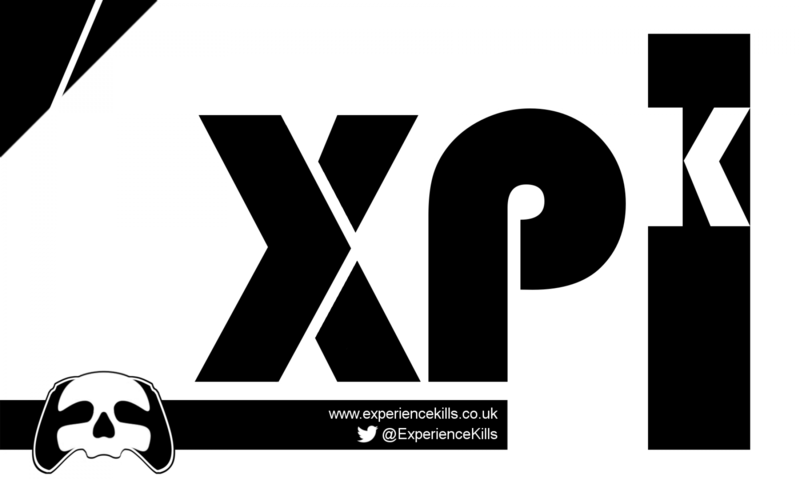 The game is a well designed with the players experience at the forefront of the developers mind. In a puzzle game where interaction has a direct effect on the environment, its sometimes difficult to see what changes are happening when you activate a switch or stand on a button. In Factotum every time you interact with the environment a line appears on the screen showing you what has changed. This could be a platform moving or a gate opening. It’s a good mechanic that allows that stops things becoming overly confusing in the environments which all look similar. A puzzle game will live or die on its content and Factotum 90 is a good puzzle game, it is constantly adding new mechanics to keep the player on their toes. and has an impressive array of puzzle elements for you to interact with. From simple pressure switches to teleporters and laser beams you can reflect off the walker to destroy objects. It isn’t the longest game, comprising of only 30 levels. However, that doesn’t diminish from the great feeling of solving a tricky puzzle and progressing through the level. The difficulty level is well judged and gets the balance right between frustration and solving a puzzle. The control scheme works well and allows you to switch between moving quickly across the map or slowing it down to navigate around platforms where one false move can spell disaster. Switching between robots is instant and something you will be doing regularly to solve the puzzles that await. Should you screw up and get a robot stuck where you don’t want it then you can reset the Walker to its original position. The sound design is largely forgettable, however the robots babbling at each other when in close proximity always raised a smile. 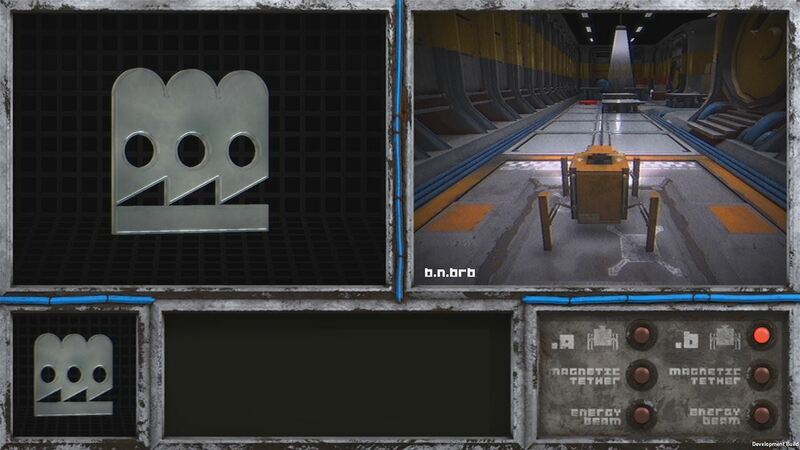 Factotum 90 is a solid puzzle game, it doesn’t have the buzz surrounding The Witness but it will certainly scratch an itch for those wanting to test their grey matter. Sony Computer Entertainment has announced that its PlayStation VR (PS VR) system for PlayStation 4 will launch in October this year for £349 / $399 / €399. Contrary to the title of this game; VHS is definitely dead. Nostalgia in gaming is as alive as it’s ever been and in Replay: VHS Is Not Dead we get a devilish blend of nostalgia, retro and kitsch. Developed by Team Replay, R:VIND, which is what I’ll never call it ever again, has been out for PC since July 2015, but is now available on every format you can think of, including Xbox One, which is what I played it on. The game is described as a puzzle/platform game, and that’s exactly what it is, in a sort of 60/40 split, if you will. Essentially, you control a guy who still rents VHS tapes from an actual shop – something that leads me to think that he deserves any capers that may come his way. Anyway, capers come his way and he finds himself inside the movies on the tapes. The narrative is something along the lines of you needing to re-shoot parts of classic films in order to rescue someone or get out of the tapes, I dunno, I don’t recall and it certainly never felt particularly important to remember. Because, once you strip away the quirky cloak covering the bones of the game (think pirates initially and lots of swashbuckling lingo), what you’re left with is an entirely compelling puzzle game. I’m generally not one who has bucket loads of patience for puzzle games, and at first the mechanics of the game seem both confusing and entirely frustrating, but very quickly the penny drops. You control two characters, but never at the same time, but you can switch between the two at will. The premise is this; overcome obstacles, stand on pads and push boxes so that both characters can reach their respective end points for each level. The problem; you need to consider how each character’s actions and physical positions will effect the other. So, you start with your first character and ‘record’ your moves. Once you’re done you hit the left trigger on the controller and watch the ‘video’ rewind to the start of the level. Then you go again with the other character, and you’ll notice the movements of the first character playing back in tandem. Yeah, you’re playing the video back, very clever, well done, I see what they did there etc. I thought I’d not want to return to the game. Thought my R:VIND career was over almost as soon as it had began. Crap, I used that acronym again. Maybe it’ll catch on. But I did want to return to the game. Something was itching away at me, and it hadn’t yet been medically diagnosed by a healthcare professional. I had an itch to return to the game, my lovely R:VIND. And it got better. With renewed vigour I found myself able to solve the puzzles. But not all of the puzzles. This game gets really hard, really quick. I’m sure those who are more adept than I am at puzzle games would relish the fiendish complexity to the latter of the 70 (or so) levels, but the more casual puzzler will hit an impenetrable wall sooner or later. Replay: VHS Is Not Dead is a whole lot of fun, both for casual puzzlers and for seasoned fans of the genre, and at such a budget price both sets of players would do well to give it some of their time. Replay: VHS Is Not Dead was reviewed with a download code of the Xbox One edition, provided by Microsoft Xbox.